Stratodesk adds a new team member to its Austrian offices. Anja Grabner has joined our team and will be performing Inside Sales focused on the EMEA market. Her role will include identifying and nurturing new customers and opportunities for Stratodesk in Europe as well as maintaining strong relationships with existing customers. Welcome aboard, Anja! 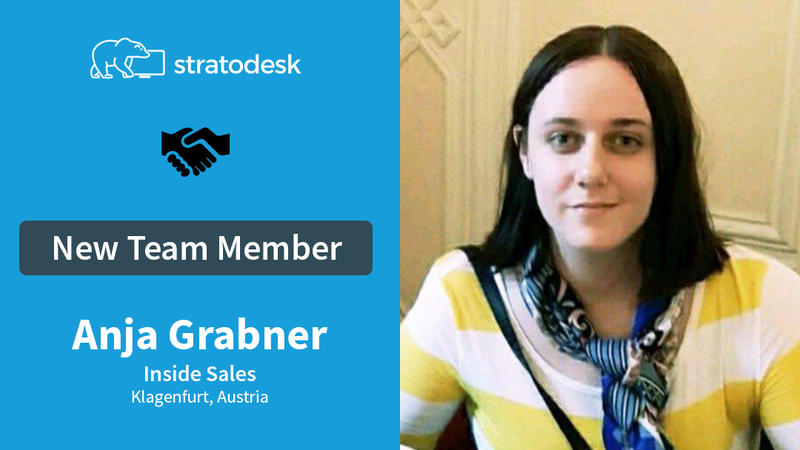 After completing her master’s studies, she began work as a Sales Manager for Samoa GmbH. There she managed clients based all over Europe. Working for an international company gave her experience with the business cultures peculiar to different countries across Europe. She also has experience working with businesses around the globe, including China and America. When Anja isn’t working, her hobbies include traveling and getting to know different cultures and languages. Back in 2012, she made a trip to Washington DC where she explored various historical sites, and in 2013 she had the opportunity to travel and study Korean in Seoul, Korea. We’re excited to grow our team on both sides of the Atlantic, and as such are always looking for talented individuals to join us. Take a look at our jobs page on our website to learn more about open positions and click on the social media icons below to stay up to date with our latest news and company updates.